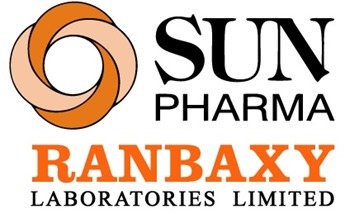 Drug major Sun Pharmaceutical Industries will acquire Ranbaxy Laboratories in an all stock transaction worth $4 billion. Total equity value of the transaction would be around $3.2 billion. This high level alliance will create fifth-largest specialty generics company in the world and the largest pharmaceutical company in India. After the takeover completes, Sun Pharmaceutical will have combined presence in 65 countries across 5 continents, 47 manufacturing facilities and around 629 abbreviated new drug applications (ANDAs). The combined operations of both the companies will have significant share in the overall specialty and generic products marketed globally. The combined entity’s global revenues are pegged at $4.2 billion. Under the agreement, Ranbaxy shareholders will get 0.8 shares of Sun Pharma for each Ranbaxy share. Daiichi Sankyo Co. Ltd is the parent company of Ranbaxy as they acquired it from previous promoters and investors. As soon as Ranbaxy was acquired, their plants came under a scanner from US Food and Drug Administration (FDA), which troubled Daiichi as their own reputation was under stake. Now, they will be the most relived entity as Sun Pharma will manage all such cases pertaining to Ranbaxy. Daiichi will now control 9% of Sun Pharma as a result of the current acquisition. Insiders are claiming that Daiichi will sell this 9% stake as well and come out of the business all together. Ranbaxy shareholders have cheered this latest development as their shares have gained since the announcement of this deal.